Today I went to Burger King. I know, I know, you’re probably thinking ” this kid is NUTS!” and that’s exactly what my Mom said. Well, the reason I went was to try their Rodeo Burger. 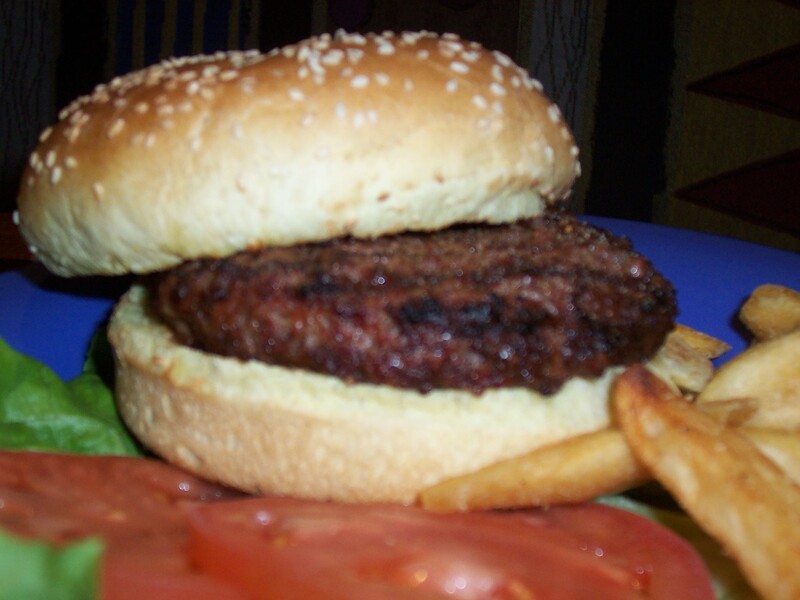 I wanted to try it because my blog is called Burger Rodeo and a burger with a similar name was something I had to try. The Rodeo Burger is now ” officially” called the BBQ BK TOPPERS Burger. I don’t know when they changed the name, but my Dad (and Wikipedia) said it used to be called the Rodeo Burger. 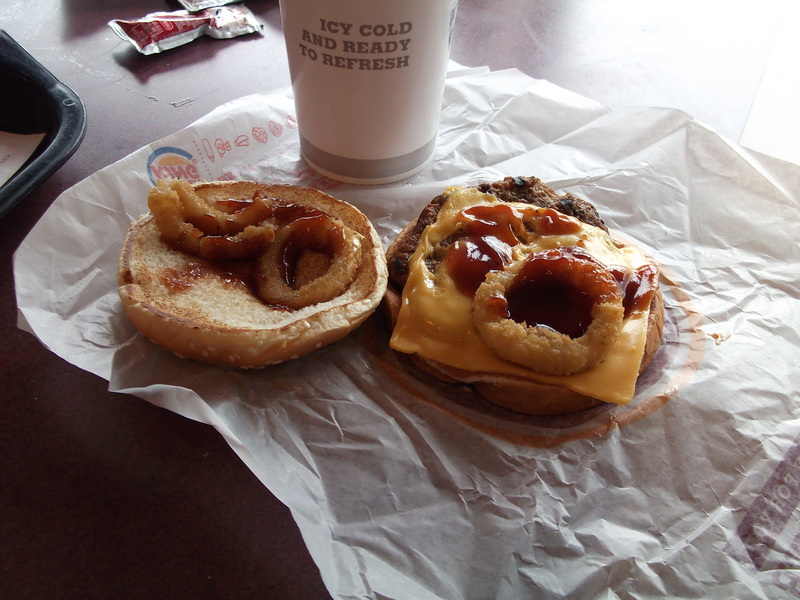 The burger is a basic BK cheeseburger with Western fixins. These are 3 crispy onion rings and BBQ sauce. It wasn’t displayed on the menu board, but when I asked for it they knew what it was and made it for me. BREAKING NEWS! BURGER KING HAS A “SECRET MENU”. TUNE IN AT 6 FOR TRAFFIC AND WEATHER. The bun was squashed and doughy. The patty was dry and the only flavor came from salt. The onion rings were overcooked. The BBQ sauce was the best part. 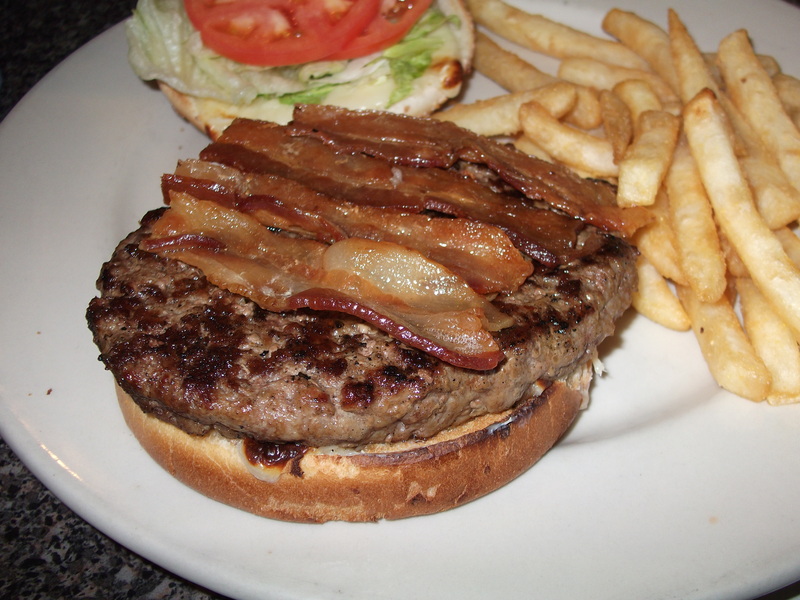 Maybe what this burger needs is a couple of strips o’ bacon. I award this burger 3 out of 10. If it wasn’t for the BBQ sauce it would have been 2. Burgers, Bacon and Cheese… Oh My! Today I visited the Chesapeake Grill on US Route 40 in Havre de Grace. This is my “local” diner and it is a family favorite. I have been there for breakfast, lunch and dinner with Mom & Dad and my grandparents. I remember when it was called the Lighthouse Diner and it had a giant blue & white striped lighthouse in the parking lot. It still has nautical/maritime decorations inside with model ships and paintings. 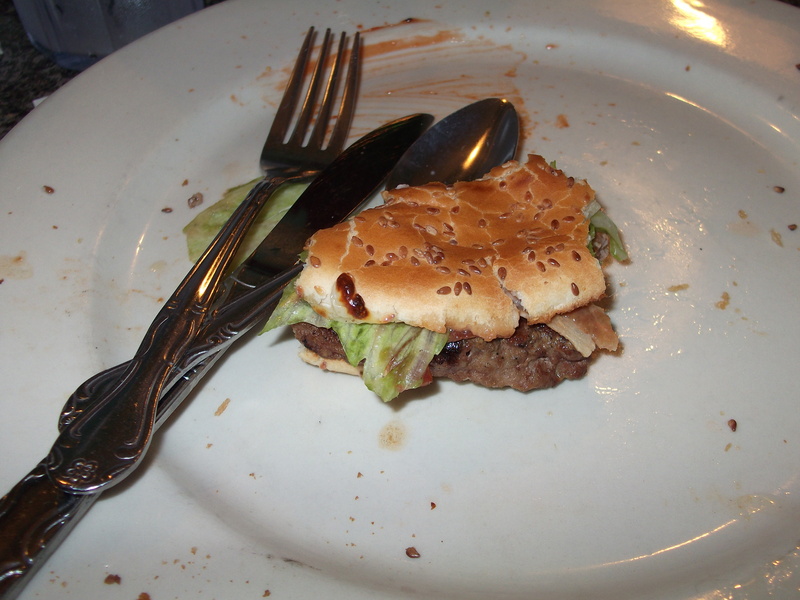 Here is my burger before I did my stuff! The burger was really juicy. The bacon a little salty and it could have been crispier. The cheese was white American and not yellow American which is something you don’t see a lot. The only bad thing is that the burger is so big. After about half an hour I still wasn’t finished and I had to surrender. BURGER EATING FAIL!!! Here is a picture of what I had left. It was just 2 bites but it was too much. 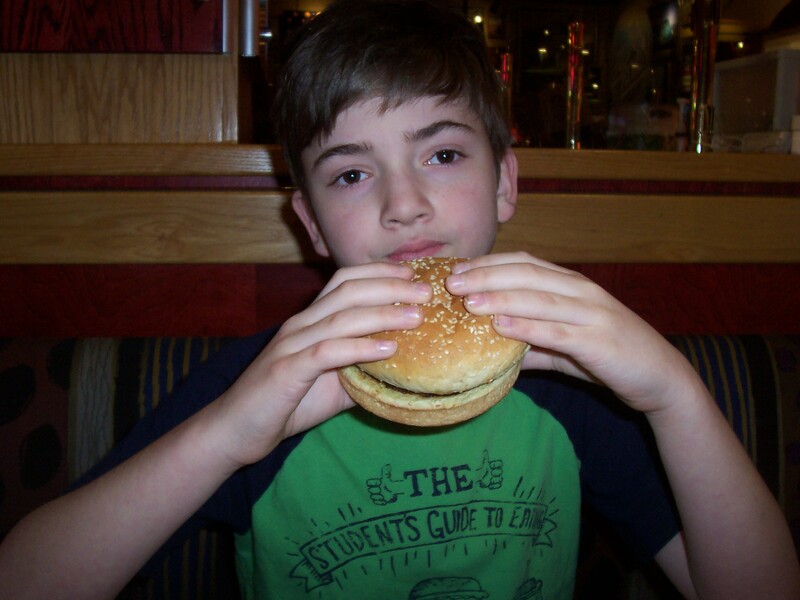 Give me a break – I am only a kid and this is a big, big, big, BIG burger. I award this burger 6 out of 10. It is a little too big for a kid, but probably just right for an adult. Hey guys! 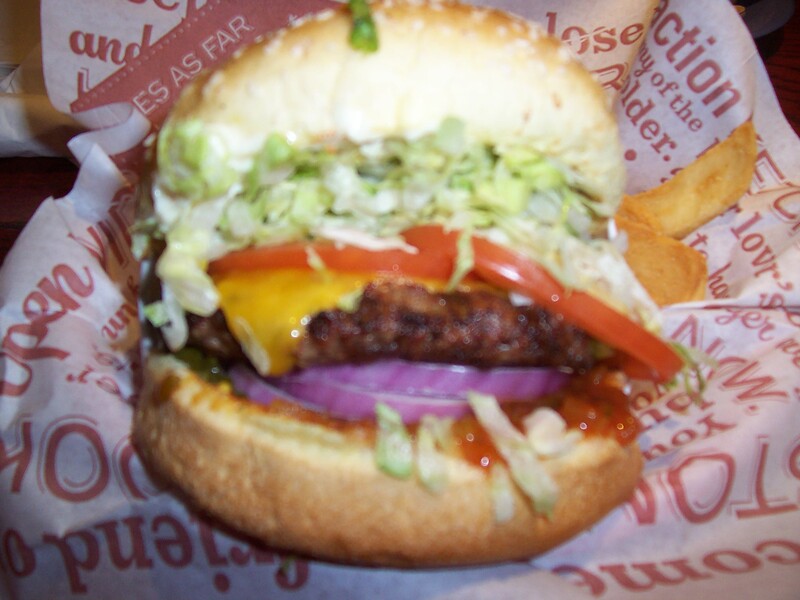 (Oh… and girls… girls eat burgers too!) Here’s your chance to show some love for your favorite cheese. I prefer American because it’s creamy and melts easily. My second choice would be Ye Olde Englysh Cheddar. Swiss is too salty. Pepper Jack is too peppery. Blue cheese is… blue… which is just nasty. I hate waiting in line!